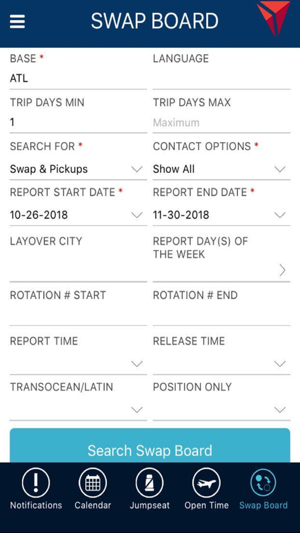 Company app for DL crew members. This app is fantastic! I’m not saying it’s perfect, but I have no doubt that the team is hard at work figuring out how to make some small tweaks to better improve the app. This app is as convenient as Icrew Max, but it has so much more! It’s great having your schedule at your fingertips and the access to open time as well. But I also love the fact that I can easily find out if the airport has KCM or not, and see a few days in advance what ship I will be using. Now I know at the beginning of the day whether or not I will be keeping the plane or not. Probably not that important the the 777 and 350 guys, but to us narrowbody guys, it makes a big difference. And as a commuter, I cannot say enough about how terrific the jumpseats function is! 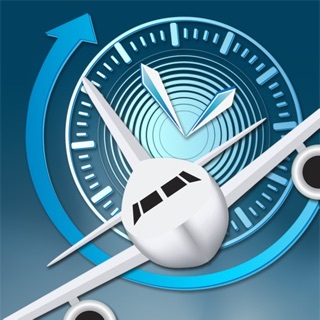 I would hope in the future they put in a link to more information about the layover and perhaps a link to a crew forum to the layovers, but looking at everything the developers are looking at, I’m sure improvements such as there will be here soon enough. The app is handy and has some nice features. 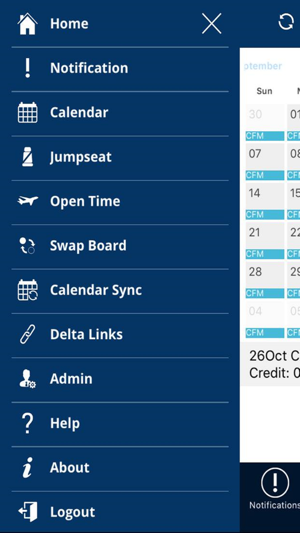 In particular, listing for the jumpseat and searching open time are very convenient. My biggest frustration with the app, however, is that it has to have an internet connection. It would be much better if it saved the information that was previously viewed and updated when the user chose to refresh. That would make it possible to look at your schedule without internet. It also refreshes on its own all of the time, making it take far long to check information even when you know nothing has changed. On top of that, it logs out often. At least enable Touch ID. Or better yet, just allow the user to stay logged in if their device is password protected. I would also love to be able to see the reserve availability list and maybe even submit slip requests. Overall, it’s a nice start but I hope that they continue to improve it. 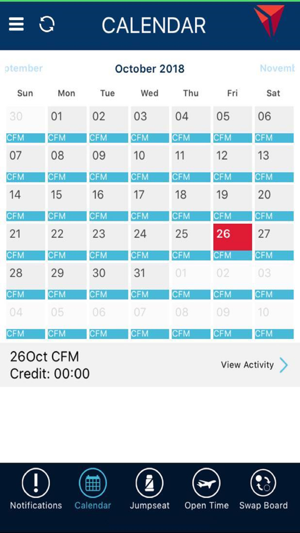 Calendar view needs to use the whole screen to be more easily read, it should be able to be viewed when offline, add door codes, be able to download schedule to iCalendar, include remote sign-in, trips that go into the next calendar day should show as such on the calendar view (currently a 4 day trip that ends with an all nighter shows as only a three day trip on the calendar.) 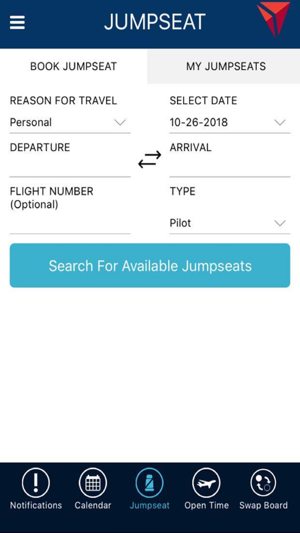 The calendar view should show layover locations on each trip. 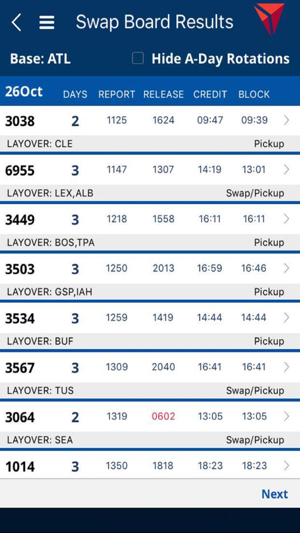 The trip view would be easier to interpret if the layover lines were a different color than trip legs. Good app overall though! © 2018 Delta Air Lines, Inc.